You’re led to believe that you can simply sign up, deposit your money & follow some simple steps to profit – but is it really legit or will the Cannabis Trader scam you out of your hard earned cash instead? What Exactly Is The Cannabis Trader App? 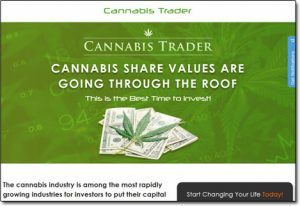 The Cannabis Trader website claims to have been setup with a sole focus on helping you (and others) to generate huge profits by investing in cannabis shares, stating that now is the best time to do it. The whole website is filled with information showing how if you invest now, you will stand to make great profits – primarily down to legalization in Canada & an increase in medicinal uses… But is it just hype? Well not necessarily – I mean some information on the Cannabis Trader website is indeed actually true. There are indeed some marijuana stocks that have dramatically grown in value in recent times, but what I can tell you is that despite that the Cannabis Trader app itself will NOT help you make money. I know that sounds like a bold claim to make especially so soon into the review but the reason I can say that so confidently is because in reality the Cannabis Trader app is actually just what’s known as a binary options scam. This means that rather than being set out to help you make money like it claims, it’s actually just set out to take money from you instead. It’s not the first binary options scam I’ve come across either, I’ve actually come across hundreds of them – like the Elite Entrepreneur Club & Profit Formula system, but it is the first one I’ve come across using the cannabis theme to draw people in. How Does The Cannabis Trader App Work? However in reality there is absolutely no substance to the program whatsoever. But none of that’s really true – and instead after clicking the “Get Started” button on the Cannabis Trader website all that’ll really happen is that you’ll get redirected off to some third party binary options broker. The reason for that is because the creator of the Cannabis Trader website has essentially affiliated himself with a binary options broker (like IQ Option) which means if he gets somebody to sign up & deposit with them, he gets paid a large commission. So in order to get as many people to sign up & deposit with the broker as possible (so he can earn as much money as possible) he’s created the Cannabis Trader website which is full of overly-hyped information. And there’s something that 100% proves it’s a scam, which is the fact that the brokers are actually paying him a commission in the first place. 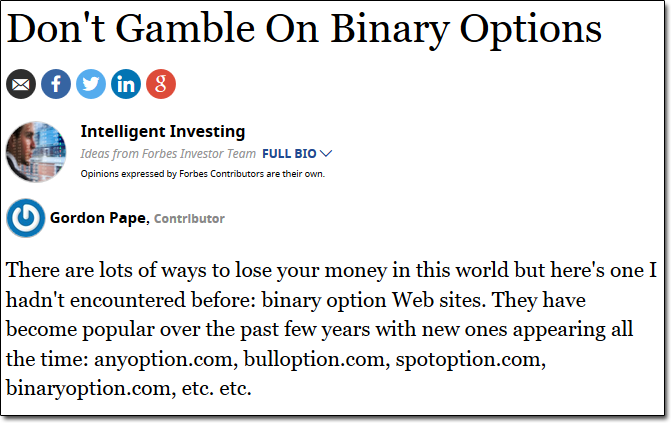 You see when it comes to binary options brokers due to the way they work they only make money when you lose money, so if you profit – it ends up costing them. This means that there’s NO way they would pay commissions to someone that was helping you generate profits. The reason they’re paying the creator of the Cannabis Trader app commissions is because they’re in on it together & they know that if you deposit via that website then you’re just going to lose your money. So whilst it might seem convincing, it’s certainly not legit. The “trick” is that they make their visitors think that they can just “try out the software”. They tell you that the system or app is going to be completely free & that all you need to do to access it is make a deposit with their so-called recommended broker (aka the broker they’re affiliated with). What they don’t tell you though is that most of the brokers are unlicensed & as a result they make it next to impossible for you to get any of your money back. So any money you deposit will be pretty much gone for good. 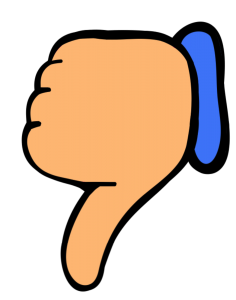 My Verdict – Is Cannabis Trader a Scam? Yes it is, there’s no doubt about it – the Cannabis Trader website has been setup with the sole goal of getting you to deposit some money into a rogue binary options broker so that the creator can merely make himself some money at your expense. The truth is that the Cannabis Trader website completely over-hypes the opportunity & the chances of you really making money are slim to none – in fact in over 4 years I can say that I’ve never seen so much as a single person generate sustainable profits through binary options trading & for that reason I strongly advise against trying it. It’s therefore safe to say that I am not going to be recommending the Cannabis Trader app & instead I think you should steer clear of it because as far as I’m concerned it’s nothing but bad news that’ll result in you losing money. The good news though is that whilst the Cannabis Trader app itself may not be legit, there are indeed legitimate places (like Wealthy Affiliate) where you can learn the proper ways to begin making good money online – without having to risk hefty investments. So if you’re still looking for a legitimate method then I highly recommend you check Wealthy Affiliate out or alternatively you check out some of the other legitimate methods that I’ve put on my top picks page. Is The Banger Method a Scam? Read My Real Review Before Signing Up! Talk Fusion – Scam or Legit? Read My Honest Review Before You Sign Up! Chrissy’s Invite Review – Scam System?